The Deus Ex Aria has sailed past its $100,000 goal on Kickstarter and could be the first Pebble Time smartstrap to hit the market. 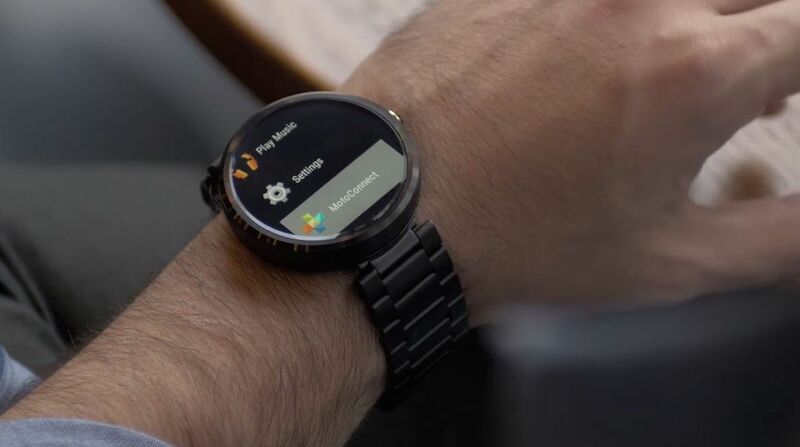 Available for Android Wear as well as Pebble, Aria will enable you to control your smartwatch from the strap, using a series of finger gestures. It does this via built-in sensors and algorithms that interpret the movement of the tendons. These gestures seem relatively intuitive, tapping the index finger with the thumb to select, thumb to ring finger to go back and flicking up and down for scrolling menus. It doesn't stop with your smartwatch either, and with the open source SDK there's the potential to control your smartphone, GoPro or computer. It could even work with iOS apps, but there's been no word of plans for Apple Watch compatability. The CEO of Pebble, Eric Migicovsky, has also thrown his weight behind the project: "Aria is one of the most exciting smartstrap projects we've seen so far." The Android version clips onto your existing strap, connects via Bluetooth and has a small battery. The Pebble version will use a wired connection through a port on the watch itself. The Early Bird deals for both versions have gone, but you can still get your hands on the Pebble strap for $69 and the Android Wear version for $129. Both have an expected delivery date of June 2016.